The End is Near for Faith in AGW | Watts Up With That? When the public learns about huge faults in the skeptic scientist accusation, combined with the faults in the IPCC, the result may send AGW into total collapse. I’m preaching to the choir here when I say appearances of people hiding AGW’s problems beg for clichés – the emperor has no clothes, pay no attention to the man behind the curtain, nothing to see here, move along. But I’m not a scientist, nor do I have a scintilla of expertise to say with any authority that the IPCC is wrong and skeptic scientists are right. The one thing I can do is offer an ordinary citizen’s informed view of what the barrier is preventing skeptics’ viewpoints from being heard, and how that barrier can turn from the paper-thin success story it is into a cancer that has the potential to wipe out the entire ideology of AGW. Notice that I said ‘informed view’. I watch the mainstream media, but I also read sites like this one, while a large chunk of the public does not. Therein lies the problem, as evidenced by this example: On October 12, 2007, the PBS NewsHour aired a glowing broadcast about Al Gore winning the Nobel Prize, in which IPCC scientist Michael Oppenheimer offered scary scenarios rivaling those in Gore’s movie. Two days prior, a UK judge ruled there were nine errors in the movie and it could only be shown in UK schools “with guidance notes to prevent political indoctrination”. Yet, I defy anybody to locate a solitary mention of this in any NewsHour broadcast. See the problem? From my extensive digging through the NewsHour’s broadcast archives, Michael Oppenheimer has appeared on the program eight times and three other IPCC scientists have appeared there on six occasions collectively, all speaking at length about AGW with no rebuttal. How many times have skeptic scientists been allowed a similar opportunity there? Zero. Our friend Pat Michaels appeared once briefly in a taped segment to give his thoughts about ClimateGate…. four months after that event was breaking news. The nothing to see here, move along tactic works fine as long as the bulk of the audience doesn’t know legitimate skeptic scientists exist. The keyword is ‘legitimate’, and that’s where the barrier comes in. When a large portion of people around the world learn about global warming through Al Gore’s movie and through internet repetitions of its details, or from viral regurgitated details from anti-skeptic book author Ross Gelbspan’s 1997 The Heat is On and 2004 Boiling Point, then the perception is there are no legitimate skeptic scientists. The Gore / Gelbspan / internet repetitions are one-and-the-same. Skeptic scientists are accused of being in a fossil fuel-funded conspiracy to “reposition global warming as theory rather than fact“, and this mimics the old tobacco industry conspiracy. Everybody remembers how well that one turned out. 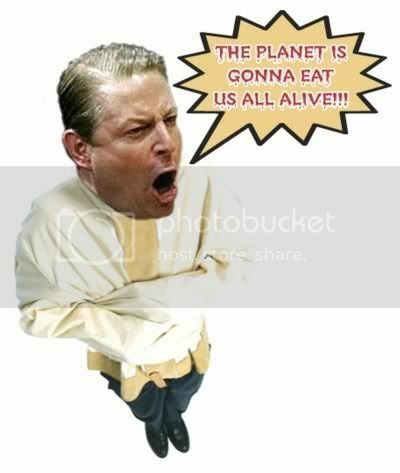 The key to the whole accusation is the “reposition global warming” sentence – it’s in Gore’s movie, it’s in two of the three global warming nuisance lawsuits, and was spread out as far as the eye could see on the internet beginning largely in 1996. When I first stumbled onto the phrase in late 2009, my google searches yielded seemingly endless amounts of accusers using the phrase, though lately all of my online articles about it have ‘tainted’ the search results rather noticeably. Their mantra is ‘settled science’ / ‘corrupt skeptics’ / ‘the media dilutes the issue by talking to skeptics’. This only works when there is faith in that whole system, as in the US investment banks circa 2007 and Bernie Madoff’s ponzi scheme. Wipe out the faith in this mantra and what happens? To me, it seems that the AGW believers can keep going and going on. Mostly because the media is withholding the key information from the public. There’s just too much invested in this scam to give up now. As long as the lies keep coming forth, they can maximize their deception. We could have massive amounts of snow in Southern California in the middle of summer and the believers will still pump out the same AGW myth. It’s an interesting day at WUWT. Just after I posted a link to Walter Russell Meade under the last post on Tim Wirth, up pops this post focusing on Al Gore, an even more relevant topic to the blog by Meade, ‘The Failure of Al Gore: Part One”. It’s a sad thing to watch as CAGW gasps for it’s last breath. It really does not matter who paid for the work. The bearer of the tidings is irrelevant. Those who do not know science like to rely on the level of trust they have in the bearer, but we also have to have some honest, independent scientists to vet the tidings. Our big problem is that we have few scientists at the moment that the government respects and has not tainted. Thus, our skeptical scientists would be the best checkers. It’s a fallacy that skeptics are funded by big oil. First, the vast majority are not and, second, big oil does not oppose carbon regulation. They stand to profit hugely from carbon controls; it is only the warmist bedwetters who would like us to think that big oil is against controls as the warmists, in their small-brained thinking, assume big oil is not smart enough to thrive in any environment. All well and good, but the issue is not about AGW. The media promotes AGW because it aids in advancing their Marxist agenda, not because they actually believe the junk science. I read the entire article earlier today. It really doesn’t take AGW to task. It appears to be a rehab attempt on Al Gores character for being a hypocrite by one elite covering for another elite. I would only have two questions for AL GORE . . . . at least for now! 1. Have “Season” change, Volcanoes, Earthquakes, Floods, Droughts, Tsunamis, Tornado’s, Hurricanes, Blizzards, Mudslides, and even Asteroids . . . have been a matter of living or dying since time began? 2. Is Man’s “behavior” responsible for them? And after that . . . I would axk! Do you think there was ever a garden of Eden on this earth? Ya, reckon he would give you a direct answer? That’s all I have to say . . for now! The big problem with everything right now is the media’s outright lies and omissions. Were it not for their cover, many other scams would be exposed. “Journalists” are the lowest of the low. Right up there with rapists and murderers with the impact they create on their fellow man. The central focus should be on discrediting the mainstream media altogether. Fix that and everything else gets fixed automatically. Once out of office, he (Gore) assumed the leadership of the global green movement, steering that movement into a tsunami of defeat that, when the debris is finally cleared away, will loom as one of the greatest failures of civil society in all time. *sigh* I wish I had written that! Lovely prose! 1.) Cooling weather/longer winters – claiming AGW causes this is stupid squared, and everyone knows it. 3.) Overexposure by the Media of Alarmist claims coming from AGW proponents that crumble to uncertainty when questioned. It’s getting rather obvious that a lot of them don’t really believe what they are claiming, and much easier to see that they are being paid to take a side. 4.) Skeptics with a long history of being in their fields are getting some air time, and the public loves when the story gets a fresh look. 5.) AGW is getting moldy, and it’s starting to stink. We checked out your alibi on rising sea levels….seems you made a mistake on your timing. re: big oil, GE, etc. Don’t know of a single company that fears regulation that raises their and their competitors’ prices. They lobby for it (and given a near fixed rate-of-return, a price increase helps all but the customer). The only thing business fears is unfettered competition – where all their past laziness (and corruption) is exposed – and customers again get to vote with their wallet. I had the same problem . I think Russell is implying that if the media , or some portion therof , were to give a balanced view of climate science then people would cool on warming . Unfortunately for us , most media types support the socio-political-economic agenda that the people who push AGW endorse . In other words , it’s politically correct so the MSM follows it blindly – right or wrong . How can we say the alarmists are losing when their crap is being taught in our (Canadian) schools? My 8 year old granddaughter is brainwashed and frightened by the AGW crap. Not likely. Too much solid science supports the notion that the huge increase in CO2 since the 1700’s is affecting earth’s climate. More likely that skeptics to this will slowly find something else to rally against as the evidence to changes in earth’s natural systems continue to mount. People have a nasty habit of remembering what you said, especially when it turns out you were wrong. The BS detector is then in the ‘on’ position. In thier minds, they start to consider what Gore is: another politician with an axe to grind and he wants to do it on your nickle. Now, who was the politician who, just last week, was caught on tape and forced out? Darn, the name escapes me, something about “Oscar”, or was it “Meier”. Rats. Gosh, you don’t think ‘they’ would toss thier #1 Attack Dog Advocate under the Bus, do you? Gulp. Another day, another conspiracy theory. Yes, the government unions and time-servers in the US are indoctrinating our children too. Fortunately, we have a strong home schooling movement and strong religious school infrastructure. The answer to this problem is less government, less public schooling. Those like R Gates – who with their dogmatic mantra and ‘faith’ in the concensus – should be ignored. As for the actual alarmist peddling, fraudulant and false reporting scientists – they should simply be banned from working in science ever again – stripped of all their assets, and forced to live in the same way as the general population that their work and the impositionof CO2 reductions would have so badly affected. i.e. in total energy poverty, preferably in somewhere nice and cold ! There is of course another group of scientists – those that I’ll call the bandwagon bunch. Those who added ‘global warming’ to every funding request!! They should simply be jailed (IMHO) as it’s not even entrepreneurial – it’s robbing us as taxpayers! They are no better than common thieves or pickpockets! I’d also like to shoot all the politicians that acted so irresponsibly, injumping on the votewinner green bandwagon – but the trouble with that is that there will simply be a shedload more the lying cheating bar stewards to replace them! (No offence to Bar stewards by the way – you know what I mean!) – so perhaps, we should just install all the politicians on an iceberg – that way, as it melts, they can leave out their fantasy of ‘global warming’ ! Also the reason that Mann et al continue is that it gives them power and influence, something they would never have had in normal circumstances. Now they have that power and influence they will do everything to keep it. Change peer review procedures, deny access to information, deny positions to sceptical scientists, attach themselves to idealogies that no neutral scientist would consider academically healthy, buy in media bloggers to shout down reasonable debate, create scare stories, that MSN lap up, to try to panic citizens, foster the myth of the bad sceptical science (when in truth all science should support scepticism as a healthy point of argument) and so on……. Sorry spelling mistakes mainly due to lack of glasses, left both pairs in uni and can’t be bothered to go in till Monday for them so enjoying life as a blur, either that or get longer arms……. the science is so solid you’re still here trying to push it…………………. There is nothing on the face of this planet that could even tell…………………..
Wouldn’t it be far more appropriate to make a documented case, if you really are convinced that you have a valid point to make. There is an accepted process which you and other “skeptics” are able to join, if you so choose. If you have well researched evidence to support your case, present it. This is how knowledge is advanced, and how credibility is achieved. Our knowledge of the climate has been developed as a result of the efforts of thousands of researchers from all over the planet. You are free to contribute to this process, directly by doing your own research or, indirectly, by supporting the work of other researchers. Not likely. Too much solid science supports the notion that the huge increase in CO2 since the 1700′s is affecting earth’s climate. More likely that skeptics to this will slowly find something else to rally against as the evidence to changes in earth’s natural systems continue to mount. The current rally is against uninformed opinions driving economies. The way I see it is that the problem of children’s ignorance is the teachers themselves. They have been infected by this awful scam. Teachers, per se, are not renowned for their original thinking. I see that BJ Edwards has invaded the WUWT site. I would like to warn everyone that this troll has battled with the likes of Delingpole (of the UK Daily Telegraph), and lost. He/she is now attempting to infriltrate our most illustrious message board. It is no secret that the Climatic Research Unit at East Anglia (home of Phil Jones) was founded with money from British Petroleum and Royal Dutch Shell. Even Wikipedia’s history of CRU includes that. It’s a strange world indeed that the AGW enthusiasts are in fact funded by Big Oil and that’s OK, but the skeptics are vilified by the cries of tainted funding. This is the BBC that used to make superb science programs like Horizon which even at age 8 I would stay up and watch even though it was past bedtime 🙂 And now that same series was given to Paul Nurse’s recent shameful program. My own position is “undecided”, I suppose lukewarmer ? – certainly of the opinion that its not worth billions of my tax £s spending on it. The lack of coverage of the debate though means I visit places like this to get an even handed balanced exposure to the debate – which in turn may lead me to be more skeptical. What I would like is for the BBC to restore my faith – I actually DO like it as an organisation despite what others may think. What I want is an honest, open, even-handed debate exploring all arguments and all avenues. What I get though is driven by the attitude shown in the quote above. I think the best argument against the “sceptics are funded by big oil” lie is to remind the “believers” in this lie that “big oil” is actually having difficulty in supplying customers rapidly enough and does not need to promote itself or its products at all. Propoganda is a waste of money for them. I hardly see any adds like “go well, go Shell” – prominent in the 70’s anymore – in fact I can’t remember any recent oil adds. How many of your neighbours picket their local gas station ? Pronably none. With the proliferation in vehicles and car companies I’m kinda thinking he might have been right. Even the greenies drive cars – OK they’re Prius but they still burn fuel. The NULL hypothesis stands. The AGW proponents hide thier formulas and refuse to debate. Which brings us to the political arena, where the AGW proponents have made thier stand. They will more than likely be up on charges as soon as the political winds are finished shifting the other way. Matter of time. The pols won’t save them, but will be more than eager to throw them under the bus to save thier own careers. Bet on it. I ask you for the 1,000,000 time: do you have some reasonably well-confirmed physical hypothesis which goes beyond Arrhenius and which enables explanation and prediction of some phenomenon that can be classified as CAGW. No such physical hypotheses means no science. You know that none exist. So, please give up this nonsense about solid science. There is none. Things would be better for us sceptics if only the people writing these blogs were comprehensible. I think I get the gist, but it’s not easy. Let us take a lesson from these climate warriors – make the message clear, simple and repeated ad infinitum. Once again, Hugh Pepper, aka “the computer,” reveals that he has no clue about scientific method. Science is the critical enterprise par excellence. Some scientists propose hypotheses and all scientists criticize the hypotheses, including those who proposed them. There is no symmetry between a scientist proposing a hypothesis and a critic. Criticism based on observational evidence must be supplemented by criticism based upon logic and scientific method, something that not one pro-AGW scientist has the least inkling of, including Hugh Pepper. $100 Billion spent on the study of Global Warming, and what do we have to show for this vast sum? Can’t predict an earthquake, volcano or even the weather next season with the Global Models. The smart ones got out of boat a while back. The greedy, the arrogant and the just plain dumb sail into a cruel storm of public anger. The end for AGW will come faster than previously imagined. The huge increase in CO2 began in the 1700’s? Does that mean that the only way to save the planet is to turn the clock back, as far as our technology and population size is concerned, to that of the 1700’s? If that is what you want, count me out. I’ll take my chances with a little warming. Hugh Pepper must be very new to the “debate” or he would know that the sceptical scientists have been battling for years to have their work published. He should know that the so called prestigeous journals will not publish papers questioning the “settled science”. Like much of the MSM they are in thrall, for whatever reasons, of the AGW hypothesis. As rbateman points out above; the hypothesis is being falsified not by scientists but by nature itself. As the rate of emissions diverge ever more with the temperature the hypothesis is no longer sustainable. It has failed. Now the race is on to find some explanation for the temperature slowdown without referring to the sun, clouds or oceans because those have been the drivers of temperature up til now but the warmers know it’s CO2 and nothing else. The sceptics have a problem having their voices heard. The AGWers have a problem because their hypothesis has failed. I think it goes beyond simple exploitation of the subsidy river, etc. I think Big Oil, and anyone else with relevant expertise and skin in the game can conclude fairly rapidly that the “replace oil with renewables” mantra is a no-hoper fantasy. So, in a sense and to a degree, Big Oil etc. have little to lose by letting that train wreck proceed, because fossil fuels will be the de facto necessary fall-back. But the risk is that in the process, the train wreck will harm so much of the economy that demand and infrastrucure are compromised and suppressed for decades to come. Given that there is little that Big Oil or anyone who is vulnerable to the demonization Alinsky tactic can do in the short term, it may just be that they’re keeping their powder dry. Only those like the Kock bros. who are secure enough and far-sighted enough to defy the hate-mongers can overtly oppose Greenism and Climate Pseudo-Science. Big Oil is probably re-assessing the risk factors very frequently now. It’s on balance probably just as well that Big Oil doesn’t weigh in at this point, though the atmosphere and optics suitable for putting some real money into skeptic science is fast approaching, if the House sticks to its guns. typo: Koch bros. I mis-spelled it phonetically, sort of. I came across this quote the other day attributed to Georg Lichtenberg which for me sums it all up. I often find that the way something is expressed can make a difference to people’s understanding of an issue. This might help you in your confusion and anxiety. Let’s say that we currently have 400ppm (a bit high but a nice round figure and generally acceptable to all parties) of CO2 in the Atmosphere. 1/ 25th PART OF ONE PERCENT…. OK, once again let’s be generous…let’s say that the amount of CO2 has increased in the modern era by 100ppm. ONE HUNDREDTH PART OF ONE PERCENT. Now maybe, just maybe, if you were to conduct an experiment in a sealed black box in a top laboratory; you ‘might’ just be able to detect a change in the infra red absorbption characteristics of the ‘modified atmosphere’. where the Arctic and Antarctic regions are in frigid darkness for three months of the year, and where ocean currents can transport heat thousands of miles…. …a change in atmospheric composition of ONE HUNDREDTH PART OF ONE PERCENT is…. I’m hunting for the right word here….NEGLIBIBLE. Now R Gates does that make you feel any better? No? …Tsk, you know I didn’t think it would! Big oil and Maggie created CRU, against coal. Coal is abundant practically everywhere and cheap resource. Accusing ‘skeptics’ of being funded by big oil is propaganda deflection to avoid scrutiny of their interests. The clever bit came when this combination roped in the greens to push their agenda for them, and they’ve been easy enough to keep distracted. No such experiment needed. Just look at the Earth’s outgoing IR spectrum. The top graph. See the big chunk missing around 600-700 cm^-1? That’s what trace GHG’s do. It isn’t minor. Not only R. Gates but also the APS, AAAS, AMS, NAS, Royal Soc, CSIRO,,, and most, if not all, scientific/technical representative bodies have official positions recognising the science behind global warming. The MSM would be at fault if they ignored these authorities and followed a few bloggers instead. The commenters here at WUWT would be better advised to put their efforts into convincing these representative bodies to change rather than mouthing off at poor old R. Gates and the MSM. Many WUWT commenters are members of professional bodies. Are the WUWT commenters making an effort to influence their own professional body? Why has no-one explained the ‘Keeling’ graph relationship to the ‘UAH’ satellite measurement of average global temperature?? With out accelerated warming, AGW is without any scientific foundation. The global mean temperature data shows no accelerated warming due to increase in human emission of CO2 as shown in the following graph. The IPCC interpreted the data by comparing the global mean temperature trend for one period that has only one warming phase with the trend for a longer period that has both a warming and cooling phases, and it then declared accelerated warming. This is fraud. The AGW scare has no scientific foundation. That is the mantra of the alarmist crowd. Models trump experiments in their world. Not in ours. Warm Words :How are we telling the climate story and can we tell it better? I see many lukewarmers, CAGW proponents and some sceptics banter around the word conspiracy, often with derision. Statements like, “Really?, The entire climate science community is involved in attempting to establish a one world government. Scientific journals, and esteemed associations all involved as a conspiratorial cabal to redistribute wealth and control energy production and output…get real” Many times the posters reference is summarilly dismissed. Troll tactics require this. This idea that a conspiracy exists, mainly due to the efforts of AGW proponents, with help from the MSM, and also misunderstanding by many of those who are sceptical of AGW. I think few would argue that the definition of the conspiracy embodies secrecy, and ‘evil intentions’. In fact the 3 out of the 5 contextual uses listed in the dictionary utilize this terminology in the definition, along with words like ‘corrupt’ and ‘illegal’. 1. The goal is in fact to establish a one world government run by unelected officials. 2. Somebody is attempting to foist the idea that a one world government is imminent, when in fact it is not. Given the scope and depth of such an undertaking the likelihood of #2 above being true is slim at best. I would be interested in comments illustrating why a person or persons would attempt this type of deception. My point is this: nothing has been done in ‘secret’. We have heard from IPCC, UN officials, along with the captains of industry. They have said publicly and repeatedly what their agenda is, and it is #1 above. Al Gore, Mr. Wirth, Hansen, and all the rest have been complicit in furthering this agenda. The people responsible are unnamed, for the most part, and naturally own the media. Thank god for the internet or this might well have been a conspiracy: done in secret behind our backs to wake up one day and find our lives quite different. As it stands, it is not a conspiracy. It is up in your face, eyes wide open, and as many above have stated succinctly above, a grab for power, control, and filthy lucre. Your definitional argument doesn’t quite wash, as this is a case of “hiding in plain view”, plus heavy reliance on Big Lie techniques. By making what is obvious seem implausible, the Strong-Stern-Schneider plans can proceed without needing to do more than keep the MSM compliant. Which has been fairly easy so far, with the worrying partial exception of Fox News, which happens to (probably as a result) outdraw the next 3 or 4 competitors combined. Nick Stokes…is that mighty chunk of the spectrum down entirely to CO2 or all the ‘greenhouse gases’? A term I hate for it’s loaded, ‘sealed’ box implication? This curve didn’t start to rise in 1950, or 1960 or 1970, when AGW people tell us the globe started to experience excessive CO2. In fact, the curve for the Hampton Roads tide gauge had been on the upswing for at least 80 years before the seminal year of 1950 these AGW clowns posit is the approximate time when global warming took off. Stated another way, 1950 is about in the middle of the of the curve, certainly not at the beginning. So what does that tell you? Does it say that Mann’s supposed Global Warming started at the end of the 1800′s?? I’m pretty sure Mann doesn’t want you to consider the obvious, which is (if his curve is anywhere near accurate), that sea level rise (and hence warming that causes the rise) started way, WAY before the middle of the last century when CO2 took off. So there goes your entire argument wherein you say–”CO2 since the 1700′s is affecting earth’s climate” when in reality, humans haven’t been significant contributors to CO2 since the middle of the 20th Century (again, starting somewhere between 1950 and 1960). So I’m calling you out for abject fabrication–your argument that somehow mankind’s CO2 from the 1700′s and the 1800′s is supposed to be the reason for our Global Warming (or is it just Climate Change or is it simply Climate Disruption) simply isn’t supportable. And you say “Too much solid science…”. Such a statement, sir, is laughable! But keep it up–it’s statements like yours that are sinking the AGW cause; making false claims and bogus analyses is the best way I know to lose an argument. Sorry, just a bit fuzzy about this, but when exactly did the industrial revolution start? It was a tad before 1950, no? Citing one location isn’t proof of anything, pro/con. To claim it is simply shows you do not understand the science you seek to dismiss. What ios\\s this post about? Some `insiders’ point that the author has forgotten to explain? Some `insiders’ point that the author forgot to explain? It includes all GHG’s. But in that band, especially the upper end (near 666 cm-1), CO2 is dominant. This plot shows the breakdown. It’s reversed from the other one – in wavelength rather than frequency. So relative to the blue plot, the “missing chunk” is at the right end – starting at about 14 microns. The blue plot doesn’t correspond to an observed spectrum, but plots the amount that goes from ground to space without absorption. The observed spectrum, of course, includes what has been reradiated. This is not a model. It is an observation of the real world. It’s a very familiar tactic of the environmentalist (warmist) crowd – projection. Project your own vices upon your enemies, make them look bad instead. As for you, R. Gates, I am tired of the dogmatic way you repeat your mantra of misleading nonsense. Go to sleep. Let’s accept that CO2 does have an absorbption spectrum as displayed but as it comprises ONE 25th part of ONE PERCENT of the atmosphere, the extra energy absorbed/trapped could only be fractional. So I stick with NEGLIBIBLE as my term to describe CO2’s ability to capture/trap heat. More importantly I assert the total dominance of the water vapour, convection system as the engine of climate and thereby refute the ‘greenhouse theory’ on the grounds that the upper regions of our atmosphere are ‘radiatively coupled’ with SPACE which is well known to be rather cold. And also on the aesthetic semantic grounds that the very word ‘greenhouse’ invokes a rigid and impenenrable atmospheric barrier, an image which is entirely misleading when one considers just how ‘fuzzy’ the atmosphere actually is. Put it a different way, there’s plenty of cold to go around. No shortage of cold whatsoever. Vast tracts of the world are frigid dismal wasteland or ocean, even in their short miserable summers! Anyone who has ever flown long haul will have noticed the in-flight display, the one that tells you where you are, your speed and the temperature outside the cabin…. the average temperature at 300hPa is -35C over the Equator and -60Centigrade over the poles, that’s cruising altitude…that turbulence you sometimes feel is the plane hitting air as it rises cools and falls…that is the earth’s amazing natural thermostatic control at work. It’s capacity to cool dwarfs CO2 warming like an elephant would an ant! So…you really don’t have to worry about CO2 Global Warming. Honest. And if you suscribe to current ‘peak oil’ theories you’ve got absolutely nothing to worry about whatsover…!!! Well Climatewise anyway. The AGW failed with the general public because the predicted consequences just aren’t happening and every time the alarmists do drive a stake in the ground with a near term prediction they get it spectacularly wrong. Who forgets the shameless prediction of worsening hurricanes made while Katrina and Rita victims in 2005 where still trying to get back to their homes and then for the next 6 years and counting there was relatively little Atlantic hurricane activity. Or the prediction that UK kids wouldn’t know what snow is like then the UK gets hammered with a series of hard winters the so-called climate experts failed miserably to predict. The general public doesn’t need a PhD in climatology to hear screechy panicked predictions and then see the predictions fail spectacularly. The purveyors of doom then become regarded with about as much respect as the proverbial guy walking up and down the sidewalk with a sign saying the world is going to end. Well said, Dave Springer! Most people I know make no claim to being able to work out the climate physics, but they are not fools. They evaluate the experts by checking on the accuracy of the predictions they make. Enough years have now elapsed to make a useful number of these evaluations possible, and every passing year advances the public’s confidence in their BS detectors. In their experience, there is little difference between the used car salesman saying “You have to sign straight away, I can’t hold this one for you”, and the warmist saying “This is so important you have to take action immediately!” when the most lurid of his predictions are for 50 or 100 years in the future. Unfulfilled promises and rush tactics are deal breakers for most people. I have no confusion and only have anxiiety about paying my kids continually rising college tuition. Find the words ‘global warming’ on the page you linked. The BBC uses ‘climate change’ now. Sorry, just a bit fuzzy about this, but when exactly did the industrial revolution start? Right after it starting warming up a little from the Little Ice Age ……. You might say the Little Ice Age was the greatest catalyst to human ingenuity and invention…..
Nick, while your spectrum graph is mathematically correct, aborption in situ acts differently. How much re-emitted far infrared goes down to heat our head, and how much is re-emitted away from our head? And what if water vapor and other greenhouse gases are saturated, as might be the case over an evaporating, water vapor-filled sea surface atmosphere? Where does the left over far infrared go? Nature is messy and only loosly follows what we think is possible. Pamela, you seem to think that this graph is the result of calculation. It is not. It is simply the observed spectrum of upward IR at a height of 20km. And it has a large dip at frequencies where GHG’s absorb. So we know they have an effect. I can’t understand why you anti science skeptics have such difficulty understanding the nature of cause and effect when it comes to the connection between rising CO2, rising temperature and catastrophic global warming. Let’s say I am an unbiased scientist from another planet and have never observed the behavior of primitive wheeled earth vehicles at a “stoplight”. I performed a study on vehicle behavior at the light boxes from my geo-synchronous obit and can see a clear correlation between the wavelength of light emitted from the light box in the 650 nm range and the wheeled vehicles motion under the light box. The vehicles always come to a stop when the box is emitting in the 650 nm range. My conclusion: The 650 nm wavelength interacts with the wheels of these vehicles causing them to stop rotating. No other conclusions are either logical or required. The major forcing is the wavelength and what must be a theoretical 650 nm force field. Well, a small minority of my space traveling collogues have suggested there may be other forcings but I point to my data and beat them over the head with my charts. I have already reported my conclusions back to the home planet “Goretex” and cannot be contradicted. If they don’t stop this insubordination I will have them demoted. They want to be transported to the surface of the blue planet to observe the 650 nm behaviors up close. They actually suggest that they see movement INSIDE the vehicles and have high-resolution photos of this. What nonsense. Anyway, I think even the slowest of you anti science skeptics can see my point. On the average, they show essentially zero slope. Furthermore, the first five months of 2011 have been one of the coldest 5 months since 2002 so if these graphs were updated, the slopes would probably average in the negative range. I fail to see what is catastrophic about the warming since there has not been any lately. I do not care if a million scientists say the warming is catastrophic. Science goes by what is observed. According to the IPCC, significant manmade CO2 emissions began in 1950. This is generally agreed by everyone. Sad for whom? I rejoice. The nation is temporarily out of danger from rampant pinheadedness. And Europe’s slow but inexorable economic suicide will serve as an object lesson for US, China (who really doesn’t need one), and the emerging economies. Overall, things are working out rather well. I do feel for the Aussies, though. There is a large-ish rational minority there that really doesn’t deserve the calamity being visited upon them by their own microcephalics. As others have spoken about the plain silliness of this (there being any ‘evidence’ that ‘continues to mount’ I will address the first line. “Too much solid science supports the notion…” Right, it’s a ‘notion’. Sure as heck ain’t science. Notion is exactly the right word. CAGW is a ‘notion’, certainly not something with ‘mounting evidence’. The ‘mounting evidence’ favours natural, cyclic variations as the explanation of regional and global temperature rises and falls, cycles upon cycles, almost entirely driven by solar factors. I lean towards the position that 100% are driven by the sun because there is so far no proof of an extra-solar system source of energy that could influence such cycles. It is your oft-cited phrase, “huge increase in CO2” that is so strange (you forgot to mention your 40% figure – maybe we are supposed to think it is more this week). Surely you, as an internet-using sentient being, are aware that the CO2 level in the atmosphere used to be 7000 ppm? That is fluctuates from about 200 to over 7000? That is has fluctuated by hundreds of ppm with no contribution by mankind during the past few hundred thousands years? How is it that you show up here month after month to repeat to a patently skeptical audience the obvious fact that the CO2 level changes? What we don’t know is what the effect on the climate is, because almost the whole green industry is wedded to the idea of making billions of $ from promoting partial, inconclusive, opinion-filled, uncorroborated, even faked (!) and hyperbolic studies with one, foregone conclusion: “We are guilty! We were born guilty and die even guiltier!” The public consciousness is awash in a sea of climate-manure in which your ‘40% CO2 increase’ is one floating chunk. What will your explanation for a decrease in CO2 in the coming year be: that the burning of virgins is working? And if the oceans should cool? Will it be the result of building windmills instead of rural water pipes and sanitation systems in poor countries? I think you should look at the basic science of CO2 because it appears to cause ocean cooling, hurricane energy reduction, and frequency, an increase in snowfall, lowering of global land temperatures, increasing ice cover in Antarctica, the quieting of the sun, mini-ice ages, polar cooling on Mars, and the tendency of blithering idiots to lie through their teeth and be rewarded for it. Surely these are all, in some way, ‘our fault’, aren’t they? Well, believing any of it would be. So now you agree w/ the IPCC? In any case – let’s see the actual citation since so many claims here (especially without citations) are dubious…. 2005 is 1.4 ppm yr-1. First, my apologies for a glitch when I first submitted this, the hyperlinks you now see in my guest post are fully functional thanks to Anthony’s help. Also, not being near the internet since Saturday prevented me from catching this earlier, which prolonged the problem. My fault, I’m sorry. I thank Anthony again for allowing me to tell about one facet that is otherwise unreported: Al Gore has long said the science is settled, but to avoid having to answer to criticism from skeptic scientists, he has successfully portrayed them as corrupt. Not in some vague manner, but through the singular reliance on a piece of highly questionable ‘evidence’. 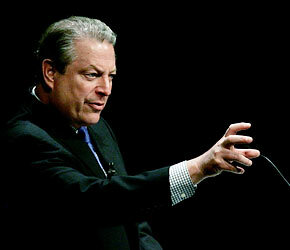 The general public has long held faith in Gore’s overall narrative, and the mainstream media’s retelling of it. If the public loses faith in his narrative specifically because he falsely accuses whistleblower skeptic scientists of corruption, and the IPCC’s assessments’ are exposed for being largely unsupportable, then both he and the mainstream media have a very big problem on their hands. Thus the slow, almost unnoticeable transition from “global warming” to “climate change”. The agw crowd knew their flimsy religion was losing worshipers at rates that could never be replaced. So what better way to win an argument you are losing, then change the argument. Now its climate change, climate catastrophe, or climate whatever. 40% ………industrial revolution…………co2…………rise………..temperature……….blah, blah, blah……. I’m far from sanguine that AGW is just environmaniacal piffle, but the apocalyptic scare-noise from the AGW crowd was sure to both undermine the science and alienate the already saturated public. If A Gore is a fool for playing fast & loose with the science, then so is James Inhoffe who in times past published some of the most god-awful agitprop and quack science (nonsense tantamount to the claim that CO2 doesn’t cause a greenhouse effect — AT ALL). So much research is still needed: The Arctic has been progressively decimated over the past century or two, largely from sootfall, standing as incontrovertible evidence that we are seeing climate change due to carbon, just not due to CO2. The ice loss due to black carbon (not CO2) has almost assuredly had a significant impact (25% of all global warming of the past 150 years) but what does it portend from hereon? Although the half life of atmospheric methane is a fraction of that of CO2, it’s also a far-stronger greenhouse gas, & a sudden spike of methane levels could have a discernable greenhouse impact. – Could continued soot-driven boreal thawing unleash accelerated methane outgassing from peatbogs? – Could increased shipping & oil exploration in the Arctic drive yet more soot onto the boreal terrain? If we curtail boreal soot deposition will the situation stabilize enough to forestall any potential threat? If it’s critical the Greenland stade holds until civilization can transition toward cleaner energy, can we follow that critical path? Honest science needs to ask these questions, be given the time and money to answer them, and give the public & policy makers the best information the money can buy. With that we can make a reasonable risk assessment. So exactly how stupid does someone have to be to think that Al Gore is the smart guy in the room? Look up Dansgaard–Oeschger events. Then ask yourself why none of the AGW scientists will talk about them. Except you are wrong – again. Repeating the bad assertion doesn’t make it any less wrong. The analysis found 2010 approximately 1.13°F warmer than the average global surface temperature from 1951 to 1980. To measure climate change, scientists look at long-term trends. The temperature trend, including data from 2010, shows the climate has warmed by approximately 0.36°F per decade since the late 1970s. Now that Co2 has been found to not be the culprit they are trying to blame carbon soot., Will they continue to blame mankind for climate changes caused by the Sun. Only as long as the money supply is continued. It’s all about money. You ‘climate change skeptics’ are just scratching the surface. You are involved in an ideological skirmish against worldviews and beliefs within which bigotry is excusable, where end justifies the means. Have a close look at what the proponents of Intelligent Design or Creation Science go through if you want to come up against the real world of ideologically driven censorship – that’s where the war is raging. Look at your own attitudes towards these non-mainstream scientific frameworks if you really want to understand what’s going on with radical environmentalism. This is very similar to arguments of the existance of God. Believers say, there is a God; prove there is not. All we have seen as ‘proof’ of global warming are transformative and normalized statistics. I can use various methodologies to transform or normalize data to make whatever point I so choose. Transforming data is not a scientific proof. And, more importantly….typically, scientific proof allows for and encourages attempts to disprove a theory. We accept science because we have tried to prove it wrong. This does not take place with global warming. There is no effort or even acceptance of attempts to disprove it by its advocates. This goes against the very tenents of science that have led to our advances in technology and medicine the world over. Once upon a time, the ‘consensus’ was that the world was flat. How did that turn out? More recently, Newtonian physics were the agreed upon consensus. Imagine if scientists stopped there and didn’t enter the quantum realm. We’d have no microelectronics or atomic energy. And finally, the most damning element: The solution to this ‘science’ problem is purely political and involves the redistribution of the world’s wealth. Really? So, now we solve science problems with purely political solutions? Be gone, alarmists. Science will win out. People who quote statements from the GISS or the IPCC are either shockingly naive or lying. Both institutions have been utterly discredited with respect to AGW. It is like asking a Communist if communism is the the way to go. What do you think he is going to say? No? 1. Those who are making money off it now, or who could hugely profit from it if Carbon trading is instituted. 2. The governments of poor countries, who would get tens of billions of dollars of free money from the rich countries (nearly all of which they would immediately steal for themselves personally). 3. The Greenies, to whom all humans are an evil infection of mother earth, and should therefore be wiped out. This was precisely the plot of “The Day the Earth Stood Still”. 4. The Communists, who want absolute totalitarian control of every aspect of every single person walking this earth, as well as wanting to route vast amounts of other people’s money into their own accounts once they get power. All this talk of things getting slightly warmer or slightly cooler. Either way, that is not proof or even weak evidence that atmospheric CO2 has anything to do with any of it. I am amazed that most people do not make this simple point on a repeated basis. The earth is currently in an interglacial period named the Holocene eoch, Ooooo, … forgive me the new shtick is Anthropocene, which started 11,000 years ago. During Glacial MAX (15,000 BC) the Ice was 3 to 4 kilometers thick down to the 45th parallel and the sea level was… 394 feet. Lower… Florida was much larger then, as was the US. Yes I know they didn’t exist with those names then. These conditions would have resulted in excessive CO2 release and other gases. ie…Methane…logical conclusion, the earth has been warming for the past 17,000 years. New York was beneath 2,000 feet of Ice. There were no Great lakes, No Finger lakes, No Niagara Falls, No Chesapeake Bay, and so, on and on……Glaciologists project in 10,000 years, there will again be a Glacial period (Ice age). 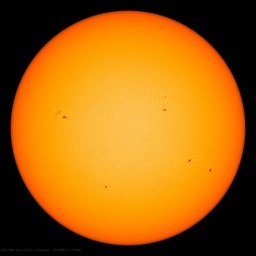 Some Russian and German Scientists are stating we currently are entering into a mini ice age owing to an extended solar minimum. They are opining we will be fully into this MIA within ten to twenty-five years. Earth’s orbit is not a CONSTANT circle, but a varying ellipse, just as the voyage of our Solar system through the Galaxy. From the above information, all found on the WEB, one can conclude the earth has been warming for at least 17,000 years but not in a linear incline, there have been cooling fluctuations also. Earth will return to cooling and another glaciation period.. It also appears the earth has been going through Climate change for Billions of years. And last but by no means least, let us not forget “Glacier Girl” who, when laid to rest on Greenland in 1942, ended up being under a funeral pyre of 260 feet of global warming (compacted snow) prior to being resurrected in 1992. This occurred during the 2nd half of the warmest century according the NYT global reparations team..
OBTW: Would someone tell the Hockey puckers, the Medieval warming period was 400 years not 50 years! The End of AGW is NOT Near. Obama just announced a major Private Public Partnership (“PPP”). This approach is just one facet of a very large worldwide blueprint to save Earth from humans. Journalists should all study and seriously “break” the biggest story of all time. This is no exaggeration. What I am talking about is the master plan known in the rest of the world as United Nations Agenda 21, dedicated to “sustainable consumption and development.” PPP’s are mentioned throughout the 40 Chapter document. I have tried to get several local and national news folks to focus on Agenda 21 for some time now. Glenn Beck finally did 18 minutes on it on June 15 followed by Fox Business reporter, Eric Bolling, doing a segment with guests a week later. Most reporters are told to suppress it, no doubt. Since 1976, the Earthers have been planning world government through centrist land management. It is communist, fascist, socialism all rolled into one approach to world governance, without sovereignty, private rights or religion and it is well under way. The very real cornerstone of the world government plan is United Nations Agenda 21, signed by George H. W. Bush in 1992 at the UN’s Earth Summit in Rio along with 178 other countries. Is has been actively supported by every President and Congress since. Bush actually described it to us from the oval office on January 16, 1991, saying we “would follow the principles set down in the UN charter”, that it was a “Big Deal” and that it “will succeed.” He called it the “New World Order.” He didn’t tell us that he was about to sign us up for Agenda 21 a few months later. Clinton, shortly after twisting democrats arms to pass Bush’s GATT and NAFTA legislation, appointed Al Gore to be director of the President’s Council on Sustainable Development. George W. Bush signed, among a host of other “green” Orders, Executive Order (EO) 13423, “Strengthening Federal Environmental, Energy, and Transportation Management,” which furthered Agenda 21. Obama, his cabinet and advisory czars are all on board with it as well. Anthropogenic impact on the planet, now termed “Climate Change”, is the foundation of Agenda 21. Earth worship (Gaia) is all but the official religion of the UN today. Seriously. Just do a search on Maurice Strong, director of the Rio Earth Summit, his Earth Charter initiative, with his pal, Mikhail Gorbachev of Green Cross International. It’s all an effort to establish Earth Mother as the center of a post-Christian belief system. These folks are dead serious and very well connected. If you study the history of Agenda 21 and the comments of its supporters, it is all about “Sustainable Consumption and Production” to save the planet, which can only occur through surrender of sovereignty and freedoms in exchange for collectivist communism, social justice, redistribution of wealth, relinquishment of private property rights, population reduction and micro management of every phase of human existence. “Land…cannot be treated as an ordinary asset, controlled by individuals and subject to the pressures and inefficiencies of the market. Private land ownership is also a principal instrument of accumulation and concentration of wealth, therefore it contributes to social injustice.” United Nations Conference on Human Settlements (Habitat I), held in Vancouver, May 31 – June 11, 1976. The UN-subgroup, ICLEI (International Council for Local Environmental Initiatives), currently collects dues from local governments to assist them in implementing Agenda 21 through Hegelian dialectic and rule by “consensus”. But they also receive millions in federal taxpayer dollar grants. So the taxpayers are paying double to effectively end America. Some communities have already rebelled against and forced their local governments to abandon ICLEI and Agenda 21 plans, ordinances and the like. However over 550 U.S cities and counties are dues paying members. On June 9, 2011, President Obama signed another Executive Order for a Rural Council, yet another nail in the American coffin. Agenda 21 marches on. If you want to connect the dots, study Agenda 21. It is well laid out at the UN website. The MSM won’t tell us about it because it is the end of America and it won’t sell well if it was exposed. It is certainly real and is being actively implemented worldwide. If you care to know, just read it. The real ominous part of Agenda 21 can be found in it’s companion document, The Biodiversity Convention Treaty, which calls for population control. The U.S. came within an hour of ratifying it but it is being implemented by fiat anyway. I have read some of the scientific papers submitted to the various UN committees that came up with the Treaty. The scientists have concluded that we have polluted the Earth to such an extent, that we are past the point of no return. The only conceivable way to save the Earth, and thus the human species, is to severely cull the species. They say that at the current rate of population growth and resource consumption, 7 billion people cannot be sustained. The solution is to concurrently severely reduce energy, food, water, etc., consumption, halt CO2 emissions, and drastically reduce the population by two-thirds. Slashing Medicare by 1/2 trillion dollars when 77 million Baby Boomers are about to sign up for it is a step in the genocide direction consistent with Agenda 21. Ted Turner and Bill Gates and his Margaret Sanger worshipping father, who runs the Bill and Melinda Gates Foundation, are huge, (as in billions of dollars) contributors to UN population control/reduction programs and initiatives. George Soros has his hand thoroughly involved as well. Who will be the lucky livestock to survive the butcher’s cleaver? The problem with Agenda 21 is that it is both a Republican and Democrat agenda. They’re all behind it. While it is hidden from the American public, the rest of the world is well into it. Do a Google alert on Agenda 21 and you will be flooded with all sorts of reports from government bodies around the world working hard to implement Agenda 21. I am a scientist, albiet a life scientist….human biology….but when I hear the phrase, “settled science”..or ..”consensus”…or “solid science”; I know there is fraud. Science is never settled..that is why it is science. We have had changes in what our perceptions of the norm are for ….well, forever…even recent. Example; the Ötzi the Iceman..found in the Alps…completely changed history. The tech he had with him was not supposed to be invented until centuries later. Consenus is NOT the scientific method ….never has been and never will be…this is just nonsense put out by the empty heads in the media. You can see the wheels are coming off as they panic sell and try to reposition into “bio-diversity”, “sustainability” etc. AGW will eventually become second tier in the eco-left, the media will then pretend it never existed or was linked to their usual leftist agenda. Think about the past domestic support for the Soviet Union or Communists as “idealists” and how that was repositioned. Steve’s extensive comment above could be an article in itself. It was even more informative than the Anthony Watts article to which it was a comment (not that Anthony’s article was bad). One need not be a student of the environmental sciences or of climate behavior or even of political science to have recognized from the outset that AGW as sold by Al Gore and his merry band was just so much baloney. No scientist worthy of the appellation would ever bring such dogma to any argument nor would they spend any significant effort attempting to discredit their doubters. Real scientists actually try to disprove their own theories thereby slowly, methodically removing, one level at a time, layers of doubt and uncertainty until, finally, the theory can be tentatively noted as established. AGW as a suggested theory moved from that initial manifestation to settled science in about 15 minutes and thereafter anyone questioning its certainty was instantly branded as a denier or tool of the fossil fuel industry. The only education needed to recognize this unmistakable pattern is a working familiarity with political demagoguery. The emperor’s unclothed condition will eventually be recognized even without the participation of a skeptical media. One has to wonder the legitimacy of any data that is surrounded and protected by teams of lawyers. If I was a scientist and made such discovery I would not wait to publish my findings, and surely not accuse and name call those that may offer a different point of view. Climate $cience suffers from the same corruption Washington DC does…for shame. At first we were told that simple measures would help “the environment” . Use less toilet paper, recycle, drive less with better mileage cars. OK- what harm can it do? But none of these things ever seem to help. Do you ever hear Al Gore say ” Thank goodness we are recycling, it has made all the difference! ” Rather, these restrictions only embolden the practitioners of GW to greater and greater predictions of dire outcomes. We are all doomed. The whole planet, all life on earth and possibly elsewhere shall end. This of course has the inevitable effect upon most people that they throw up their hands and despair of doing anything whatsoever. The carbon credit trading scheme makes me extremely suspicious. How exactly, other than enriching some few individuals and picking the pockets of the rest of this, does this plan accomplish anything? Few of us are willing to face the bleak future awaiting us if we are forced back to the stone age of energy use, and the science is certainly not there to demand such a suicidal sacrifice. Michael Oppenheimer worked for Environmental Defense for 20 years and is still an advisor to them. He co-founded the NGO conglomerate, Climate Action Network. One other thing, the law of thermal dynamics states that heat transfers to cold not the other way around so heating the air from -55 deg C to -50 deg C will not affect the surface at 15 deg C.
There is still a lack of a warming trend over the last decade. ACE hurricane index down. Hurricane activity down. No trends in weird weather. Why can’t you just admit you are wrong about CAGW? Save yourself from further embarrasement. It may not amount to much, or it may be a sign of the demise of your pet theory. I am prepared to wait and see even if you are not. By the way, you are NOT a moderate Republican. You can’t play me. The Sun is setting on the false alarm of Runaway Catastrophic Anthropogenic Global Warming Theory. The alarmists are in panic over the destruction of their religion. I give it 2 more years till we bury the Zombie. See these: (I have more). I know it’s hard to admit when you a wrong. Be a manwoman and just admit you backed the wrong horse. People decry the decreasing ice in the north. I notice that the air temp never reaches 0 deg C so the only reason Ice is disappearing is the Heat from the sun. Not carbon. I think R Gates just likes the attention he get to his insubstantial posts, just look at the number of replies attacking his posts – any attention is better than none. I believe he believes in AGW, but I also believe that he knows the facts don’t back up his belief. Nick, of course I know what the graph is. Spectrum analysis is an area I am well aware of. I am just pointing out that absorption and re-emittance in situ means that some far infrared is lost to space and some is re-radiated onto the tops of our heads and makes us just a tiny bit warmer (but not enough that we would feel the difference). It also goes sideways. So yes, it has some affect, but it will not absorb and send to Earth all of far infrared, as an uneducated understanding of spectrum analysis leads some to believe. I used to fit hearing aids. The instrument measured frequency response of an aid is one thing. What happens when the aid is in the ear canal is another thing entirely. The instrument measured attenuation of foam ear plugs is one thing. What happens when the plug is in a typical ear, inserted in everyday fashion is another thing entirely. I could go on but you get my point. My bit with the red light being the cause for cars stopping at intersections is satire regarding the idea that correlation is not proof of causation. Just because the stoplight turns red and cars come to a stop does not mean that red light itself (650 nm wavelength) causes wheels to stop turning. Nothing could be further from the truth. You could shine a red flashlight on the wheels on my F-150 traveling at 70 mph all night long and nothing will happen until and unless I step on the brake. The force of the brake pads on the rotors is what stops the vehicle and that is cause and effect; red light has no effect whatever on wheels turning or not turning. The essential problem with CAGW believers is that they have correlated rising CO2 and rising temperatures and believe that this correlation is a cause and effect relationship. There is no proof that the two are connected by any such relationship. There is barely proof that temperatures are in fact rising abnormally. However, there is ample proof that CO2 is rising. The climate alarmists have a love hate relationship with the fact of rising atmospheric C02. They hate it because it means that man is burning something and their green intuition tells them that this must be a great evil. On the other hand they love the fact that C02 is rising because it is the perfect Trojan horse to stuff full with their do-gooder laws to attempt to abolish all manner of “anti earth behaviors” they detest. All they need is a cadre of dull witted politicians and a complicit media willing to peddle the nonsense of imminent man-made climate disaster. In concert with a team of self-deluded group think doctorial eggheads excreting copious piles of “peer reviewed” half science from the rear end of the C02 Trojan horse the unholy alliance is joined as a fully functioning CAGW propaganda machine. All of this climate disaster mass hysteria is based on nothing more than the inability to distinguish between cause and effect and correlation and causation. Well, guess what? You DO have massive amounts of snow in Southern California in the middle of summer. They’re grooming the slopes for skiing on the 4th of July! Many mountain roads in the USA were blocked with 20+ feet of snow on Memorial Day, preventing people from going on trips that weekend. When is the last time either of those happened? I just laugh at their claims that CO2 is boiling the planet because of that famous graph that Al Gore flipped to show that CO2 increases temperature which we know is not true because CO2 comes AFTER temperature go up or down. CO2 is one of the 4 elements of life including water,sunlight and oxygen. But no we cannot tell our kids that because we have to let them bow down to the lords and masters at the IPCC and the government(note my sarcasm) no they want kids and people to worship them into believing a fraud so they will bow down and accept bogus taxes that will do more harm than their gospel claims of saving the world from a mere trace life giving gas CO2.. they have no concept of reality and the fact when you tell them it is really SUN and other astronomical factors like the position of the earth, the axis of the earth and cosmic rays from exploding stars that also are managed by the SUN, you get your intelligence slammed, get called a DENIER and whole host of other insults(this happened to me recently) because I guess I was opposing in their mind their “religion” and “ideology”. I know I won’t bow down to the church of “man made global warming” or now man made “climate change” and the gospel they preach that CO2 is bad and we should reduce it when it is essential for all life.